My father's peers though he's not pictured. Likely to contain three year groups/classes. See image 1418 for some more of the names. My Aunt 'Helen Jean Bremner' 2nd on the left Third row down from the back row. 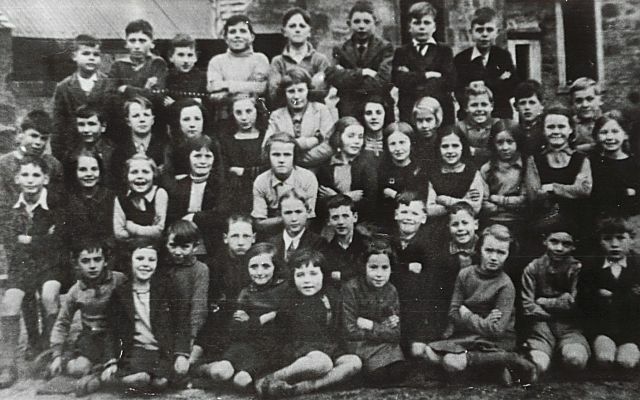 My Father, Alistair Duff, is in the middle of the second row at the bottom of the photo. He's the one with the blond hair parted in the centre. His Father, Donald Duff, was the local policeman and they lived in the old police house.